The difficulties of being an expectant mother, especially during one’s first pregnancy, are beyond the scope of a single blog post. The fact of the matter is growing a human inside your body is a monumental challenge with a wide range of effects that have both physical and emotional tolls. Although pregnancy may cause a number of discomforts ranging from aching backs, leg cramps, swelling, and headaches, many pregnant women also experience anxiety and depression brought on by the changes in hormones during pregnancy. For many expecting mothers, pregnancy massage can alleviate many of these common issues. Previously in this blog, we answered the question of whether pregnancy massages were safe with a resounding “Yes!” Despite the myths surrounding prenatal massage, these massages are capable of providing relief for an incredible number of issues related to pregnancy. These benefits range from physical relief to also include positive affectations of an expecting mother’s emotional state. In order to better understand the various aspects of the typical benefits of prenatal massage, let’s explore both the physical and emotional sides. The physical pain commonly associated with pregnancy often stems from the additional weight caused by a growing fetus. 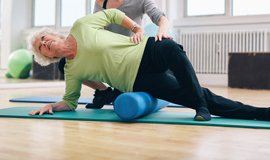 Typically, pregnant women feel pain in their legs and backs as their bodies experience the changes. Many women also experience swelling and cramps associated with pregnancy in addition to headaches. 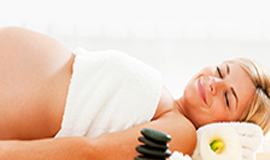 A prenatal massage therapist can focus on problem areas to provide relief of muscle tension and pain. For example, an expectant mother of twins may greatly benefit from a massage that focuses on the legs since the extra weight causes strain. Additionally, a pregnancy massage may assist with the feelings of fatigue that many women experience. Pregnancy is an especially difficult time for many women because being pregnant can cause hormones to fluctuate wildly. In many situations, these hormonal changes often create unwanted stress, anxiety, mood swings, and even depression. While each of these symptoms is serious enough on their own, a mother’s emotional state could also affect the health of a growing fetus. One of the most immediately noticeable benefits for a prenatal massage is the feeling of relaxation that accompanies almost any massage treatment. However, the emotional benefits are not limited to simply feeling more relaxed. During a massage, the body releases endorphins including serotonin and dopamine which provide natural relief to pregnant mothers. As an added bonus, the body’s reaction to the release of endorphins and increased relaxation can help pregnant mothers get the much needed deep sleep they need. If you are an expecting mother currently experiencing pain or emotional discomfort related to your pregnancy, you can be sure that a prenatal massage is a good decision for both you and your unborn child. Not only will you physically feel better, but the increased relaxation should positively affect your emotional well-being, too. To make an appointment, contact Naples Massage & Neuromuscular online or call our Top Rated Local ® Massage Therapist office today at (239) 325-9410 to see how you can benefit from a prenatal massage.